Over the centuries, dry-cured pork has evolved as a food of the changing seasons. Its flavors are truly a taste of the landscape and climate, and they have served as a crucial, long-lasting food source for many cultures. Dry-cured pork is the ultimate slow food. It doesn’t need to be complicated but it’s important to have clear, step-by-step instructions. That’s where Hector Kent comes in. 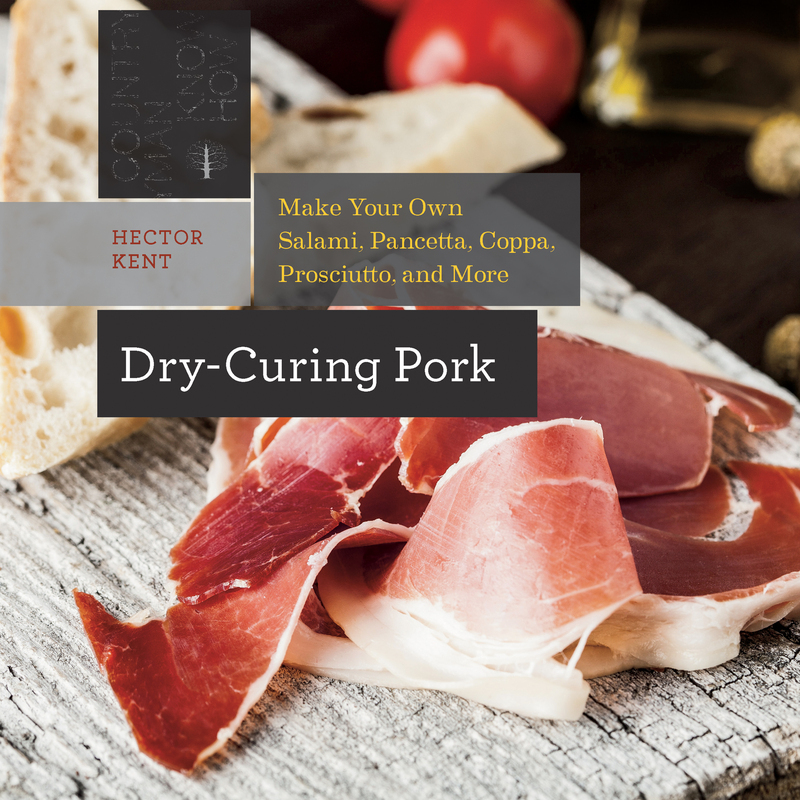 Kent, a science teacher by trade, has written the book he wished he’d had when he made his first prosciutto: One that brings together the critical components of curing in the simplest form possible, with photographs and illustrations to assure the reader of safe and delicious results.In addition to basic recipes, Kent offers readers interviews, advice, and recipes from several trend-setting dry-curing operations across the country. Hector Kent has taught kayaking, rock climbing, and most recently, math and biology to high school students. He first began experimenting with dry-cured meats after butchering a pig in Mosier, Oregon several years ago, and has been obsessing about the details and nuances ever since. After using a modified refrigerator for a climate controlled curing space, he recently upgraded to a custom build room in the basement with fully automated ventilation, temperature, and humidity controls. It is currently filled with delicious dry-cured pork. He lives with his family in Woodstock, Vermont.